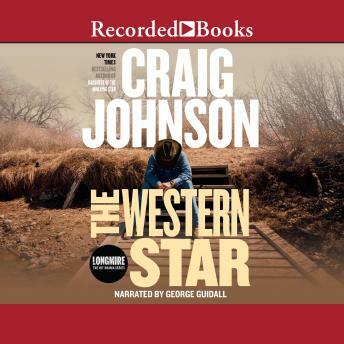 The thirteenth novel in Craig Johnson's beloved New York Times bestselling Longmire series, the basis for the hit Netflix series Longmire Sheriff Walt Longmire is enjoying a celebratory beer after a weapons certification at the Wyoming Law Enforcement Academy when a younger sheriff confronts him with a photograph of twenty-five armed men standing in front of a Challenger steam locomotive. It takes him back to when, fresh from the battlefields of Vietnam, then-deputy Walt accompanied his mentor Lucian to the annual Wyoming Sheriff's Association junket held on the excursion train known as the Western Star, which ran the length of Wyoming from Cheyenne to Evanston and back. Armed with his trusty Colt .45 and a paperback of Agatha Christie's Murder on the Orient Express, the young Walt was ill-prepared for the machinations of twenty-four veteran sheriffs, let alone the cavalcade of curious characters that accompanied them. The photograph-along with an upcoming parole hearing for one of the most dangerous men Walt has encountered in a lifetime of law enforcement-hurtles the sheriff into a head-on collision of past and present, placing him and everyone he cares about squarely on the tracks of runaway revenge.